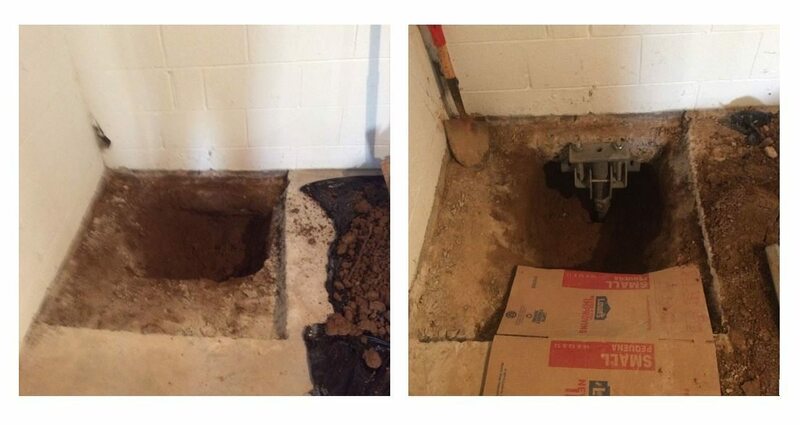 We recently completed a foundation repair that included helical pier installation on the interior of a home. The homeowner noticed a stair-step, vertical cracking in the cinder block basement wall and called us – Charlottesville’s #1 foundation solution! We proudly serve as the Central Virginia AB Chance Helical Pier Certified Installer, using only the best products and methods in the industry. The type of vertical cracking here usually indicates foundation settlement. 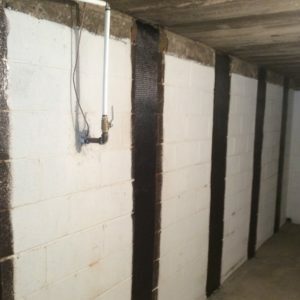 Horizontal cracking (as we mentioned in this post), whether in one line or multiple rows, is usually indicative of a bowing wall due to excessive pressure. In either case, the problems could be avoided during the original construction if drainage is done properly, with pipes deep and wide enough to get the water away from the house. Unfortunately, the time for prevention had passed for this house, and the foundation had already settled by the time we arrived on the job. The zig-zag cracking – both vertical and horizontal – indicated foundation settlement as well as wall bowing. So we got to work on installing one helical pier and carbon fiber strips. We installed the helical pier inside because the house is too close to neighbor’s to safely excavate deep enough for the pier. 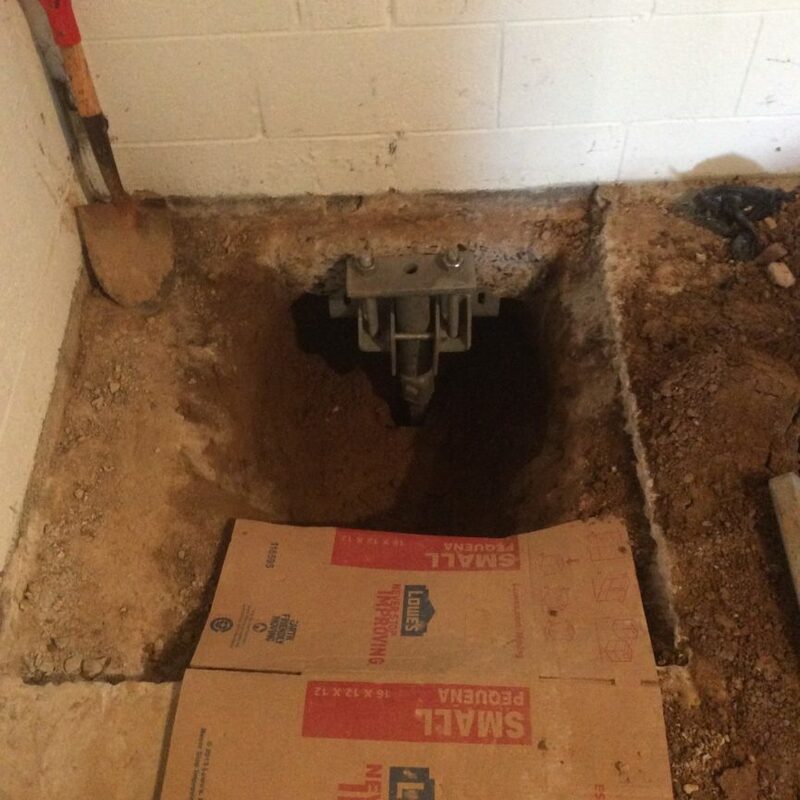 We had to excavate inside the basement and install the pier with a bracket. 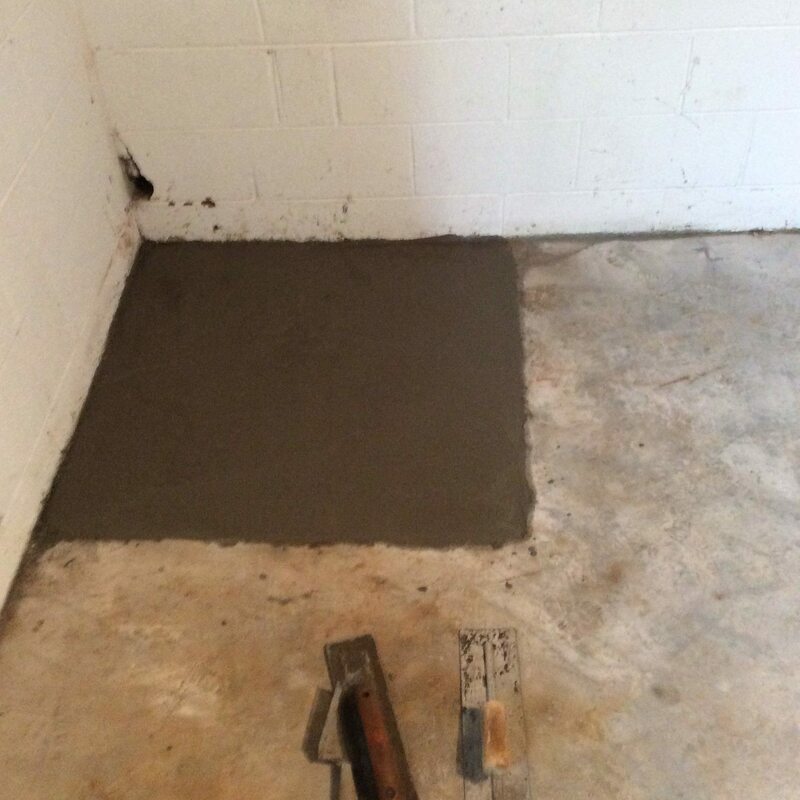 Once the pier was installed, we patched the concrete floor back, leaving the pier unnoticeable. Because we are the Central Virginia AB Chance Helical Pier Certified Installer as well as concrete and paving experts, this job was right up our alley. We love to combine our different areas of expertise into one job, and this project was no exception. We also enjoy applying different foundation solutions, like helical piers and carbon fiber strips, to one project. We look forward to helping you solve your foundation problems! Contact us today 434-293-6724 for an estimate.